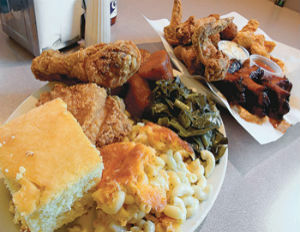 Mac n’ cheese, fried chicken, peach cobbler and other soul food staples will take center stage in a new PBS documentary called Soul Food Junkies set to air in January of 2013. Directed by Byron Hurt, the documentary will delve into the culinary roots of soul food and the cultural and physical impact of soul food especially as it relates to African Americans. Hurt says he was inspired to make the film by his father falling ill and refusing to change his diet even though it was clearly having a negative impact on his health. For more information about the documentary, visit TheGrio.